Companies should think of their online presence as a marketing opportunity, says UH Bauer executive professor and director of Business Consulting Lab Steven Koch. 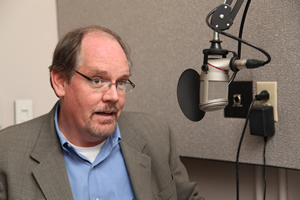 On Bauer Business Focus – A conversation on search engine marketing with Ed Mayberry, business reporter for KUHF 88.7 FM. With many shoppers turning to Google rather than traditional print advertising to make their purchasing decisions, search engine marketing is more important than ever before for companies, says Steven Koch, an executive professor of marketing at the University of Houston C. T. Bauer College of Business and director of the college’s Business Consulting Lab. Koch, who teaches Internet marketing courses at both the graduate and undergraduate levels, adds that many of the same principles for successful advertising in print formats also apply online. Search engine marketing includes two components — pay-per-click ads (a service that businesses can purchase from search engines to list their website at the top of a results page for related search terms) and search engine optimization, or SEO (which involves adding meta tags and keywords to a website’s code to improve visibility in natural, “organic” results on a search engine).